So, everyone’s all, “Jesuits in space! How can you not love The Sparrow?” Here’s my problem, every time I ever heard anyone mention Jesuits in space all I heard in my head was “Jesuits…. In…. Spaaaaace…” like that old pigs in space sketch from The Muppet Show. As a result, it seems that I imagined that The Sparrow was going to be a comedy. Uh, yeah, no. That assumption got pretty awkward pretty fast. The Sparrow alternates between two time periods, the first is leading up to and during the mission to Rakhat – a recently planet recently discovered to have intelligent life – and the second is after the return to Earth of Jesuit priest Emilio Sandoz, sole survivor. Almost immediately the reader learns that things went very, very wrong on Rakhat. Not only did the entire rest of the crew die, but Sandoz has been accused of something heinous – and initially fairly vague – by the secular mission from Earth to Rakhat that rescued him. There is a lot going on in The Sparrow and it took me some time to find my way into the story, although this might have been partially because I was expecting something quite different than what I was actually going to get. Once I became fully immersed in Russell’s story – and it didn’t take very long – I was completely hooked. You might think that knowing from the get-go that these characters with whom you are connecting will not make it back from Rakhat would detract from the suspense and the sense of urgency of the novel, but this turns out not to be the case at all. Despite the fact I knew I was going to lose these characters, Russell still made me care about them, and as the mission arrived on Rakhat I began to get very nervous for all of them, wondering when exactly the other shoe was going to drop. 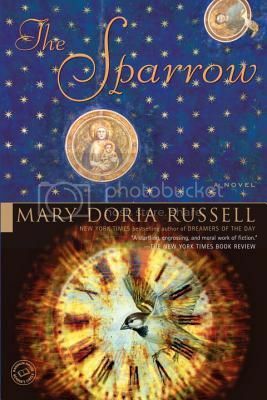 It is difficult to believe that The Sparrow was Mary Doria Russell’s debut novel, because she teases out the story of Emilio Sandoz and what happened to him and his friends on Rakhat with absolute mastery. She also does not default to the easy, cliche themes and conclusions, either. Everything is complex and realistically messy. The Sparrow is a wonderful novel, and one I can definitely recommend. This is the second book in the Parasol Protectorate series, I have previously reviewed the first book, Soulless. Just because Alexia is now the Lady Woolsey, wife of Conall Maccon, Earl of Woolsey, doesn’t mean that Conall necessarily bothers to tell her much of anything. When Conall marches out of the house yelling at the top of his lungs, he neglects to tell Alexia anything that is going on, leaving her to discover for herself the regiment of werewolves camped out on their front lawn. In addition to the soldiers, it seems that the British Isles have suddenly been plagued by something that is negating the powers of supernaturals, including exorcising ghosts. 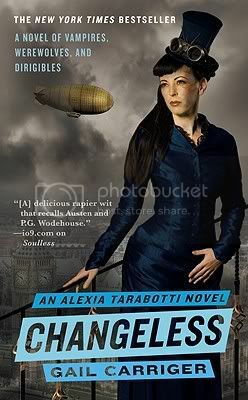 As an adviser to Queen Victoria, Alexia is tasked with uncovering the secret behind why everyone is Changeless. 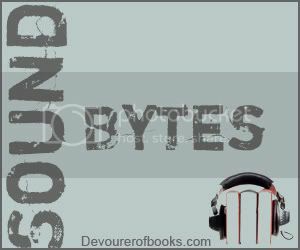 I thoroughly enjoyed Soulless, the first book in this series. Changeless, however, held a bit less magic for me. Part of the issue, I think, is the lack of interplay between Conall and Alexia. The two spend much of the novel apart, and the frolicking fun of Soulless, which depended so much on their tumultuous relationship, is much less evident in Changeless. Overall, Changeless just really failed to grab me. For most of the book I was planning to give up on the series here, although some events at the end of the book do have me tempted to go on to Blameless. Still, I think I need some convincing from those who have read this series as to whether or not it is worth continuing. In a world where nearly everyone he has ever known is dead from a terrible flu or the blood disease that followed it, Hig survives with his dog Jasper, his plane he has christened The Beast, and Bangley, his possibly crazy survivalist neighbor. Despite the fact that almost everyone he comes across wants to kill him for one reason or another – to take what he has, to eliminate him as a threat – Hig still retains much of who he was Before; he refuses to kill anyone unless absolutely necessary, and even takes supplies to a Mennonite family infected with the blood disease. 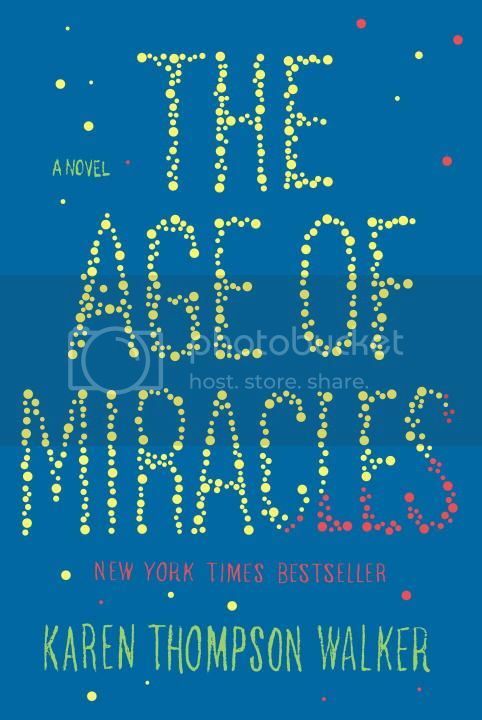 In short, Hig still believes in humanity and has hope – however small – for the future. It is this hope that drives many of Hig’s actions, that force him to seek out what he believes might be another band of survivors, people that might even know something about the world beyond their small camp. As ever with post-apocalyptic novels I really, really wanted more details on exactly what happened. A fever and a blood sickness, yes, but why? How? 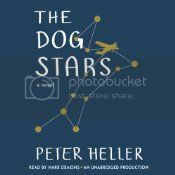 The Dog Stars, though, made me forget for large chunks of time that I didn’t know all the details, lost as I became in Hig’s bitterly sad story. The Dog Stars has the best of all post-apocalyptic worlds, introducing elements both of survivalism and of the breakdown of human decency – and the places it can still be found, even in the most dire of circumstances. Heller’s prose brilliantly evokes life after Before, setting the scene not only with his words, but with the tone they carry. Deakins is a new-to-me narrator and he did a wonderful job with The Dog Stars. The fever left Hig’s brain slightly compromised, and he certainly has psychological damage from the way he has had to live after Before. All of this leads to some unconventional thought processes. Heller represents these well in the text, but I was worried they wouldn’t entirely come through in audio, but Deakins interprets them very well. There are times where you almost wonder if there has been an editing error because a pause is so long or seemingly oddly placed, but as soon as Deakins begins speaking again you realize that this narration must, at times, be uncomfortable because our protagonist is himself deeply uncomfortable. All in all the narration works wonderfully to convey the tone of the book. Fans of post-apocalyptic fiction shouldn’t miss The Dog Stars. Recommended. This is the second book in the Map of Time series. I previously reviewed the first book, The Map of Time. This review may contain some spoilers for previous books in this series. A love story serves as backdrop for The Map of the Sky when New York socialite Emma Harlow agrees to marry millionaire Montgomery Gilmore, but only if he accepts her audacious challenge: to reproduce the extraterrestrial invasion featured in Wells’s War of the Worlds. What follows are three brilliantly interconnected plots to create a breathtaking tale of time travel and mystery, replete with cameos by a young Edgar Allan Poe, and Captain Shackleton and Charles Winslow from The Map of Time. 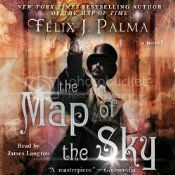 Palma integrates disparate pieces of his story much better in The Map of the Sky than he did in The Map of Time. Perhaps it was partly that I knew more of what to expect, but this time around he seemed to avoid the rambling exposition which occasionally plagued the first book in this series. Not only that, Palma seems to be the absolute master of his narrative in The Map of the Sky. Threads are introduced and seemingly abandoned, only to be picked up later in ways that are nothing short of brilliant. Oh, James Langton, the only problem with this series is I’m not sure I can ever listen to you in anything else, you so perfectly encapsulate Palma’s cheeky third person omniscient narrator. Occasionally when Palma goes a bit too much into exposition, you keep things light, fun, and moving forward. I can’t imagine anyone else narrating these books and you make 20-odd hours fly by in the blink of an eye. Really, though, the production is wonderfully smooth, and Langton’s narration even more so. I listened to The Map of the Sky in fewer days than most audiobooks half its length because it is just So. Good. Although I enjoyed The Map of Time, The Map of the Sky is definitely the better of the two and it is even better in audio. Highly recommended.